If you have been thinking about taking Montgomery embroidery or sewing classes, here is your opportunity. 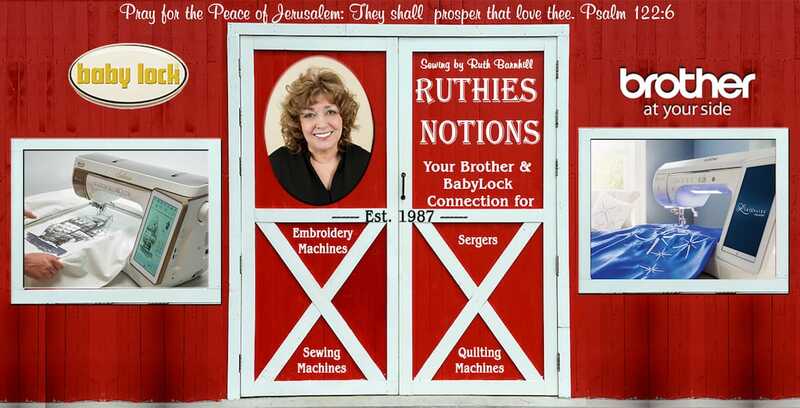 There is always something interesting going on at Ruthie’s Notions and all you need do is check it out. It is a short drive to experience a fun day of learning. Even if you have never taken a sewing or embroidery class before, you can still register for our embroidery events and learn all about it. This is your chance to take your sewing skills to new levels and do things you never thought possible. 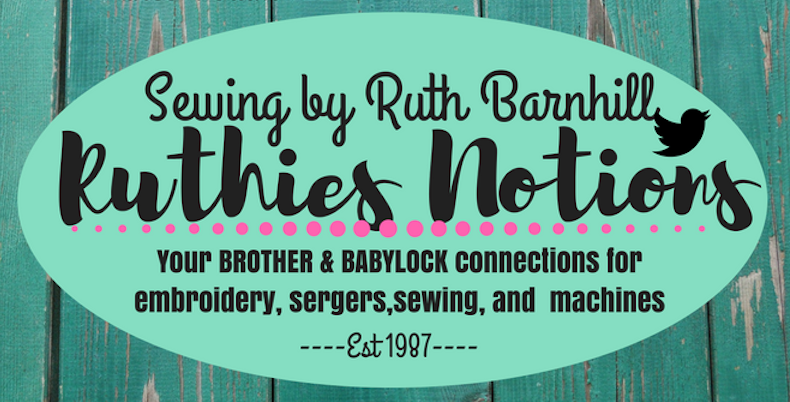 If you are looking for Montgomery embroidery events, look no further than Ruthies Notions. It does not matter if you are a beginner, someone who has some experience or a professional; there is Montgomery sewing training available for every level and interest. Our classes are always full learning events, with Brother machines and Baby Lock machines available for you to try out. Our sewing events are run by seasoned Brother and Babylock professionals who can answer your every question about sewing or embroidery. You will find machines, cutters, fabrics, vinyl, and all the supplies you can imagine just waiting for you to try them out. If you live in Montgomery, AL, you will want to check out our sewing events. We offer a variety of different sewing and embroidery events near Montgomery. There will be single day classes, three-day classes and more. Some classes will be geared towards specific machines or techniques. Some classes will even include the kit you will be working on. Besides being some of the best fun you can have, these events will establish or reinforce your basic skills. From there, the sky’s the limit. You will learn machine functions that are beneficial for every level of embroidery and sewing. Montgomery embroidery classes are made to order; just for you! When you sign up for Montgomery, AL embroidery events, we will be letting you in on some of the best tips and newest tricks of the sewing trade. Things that will make your sewing shine and give it that professional edge. Are you one of those busy people who have yet to take their Brother or Babylock machine out of the box? That’s okay, because at our sewing classes near Montgomery, you will learn exactly what to do to make those beautiful projects you have seen others working on. With Montgomery sewing and embroidery training, you will wonder why you have waited so long to take a class. This is a great opportunity to get to know an expert machine dealer, and see how to get the best out of any model. So, take a look at one of the classes available at Ruthies Notions and be sure to sign up today. If you have been searching for Montgomery, AL embroidery and sewing training, view our available classes today. Whether you are a newbie or a seasoned professional, there are ways to elevate your embroidery and sewing skills for fun and profit. Learn what it’s all about today.